If you've been following along with the Running with Ollie Blog Dog Week, you probably already know that we spent an extended weekend in beautiful San Diego, California. We got married on the beach in La Jolla in 2005, so every few years we like to go back and celebrate. We did something a little different this year. We decided to rent a room through airbnb rather than a hotel room. Airbnb is a site where you can find local hosts who are renting rooms, houses, or in our case, a master suite near the beach with a private entrance, private bath, pool and hot tub. 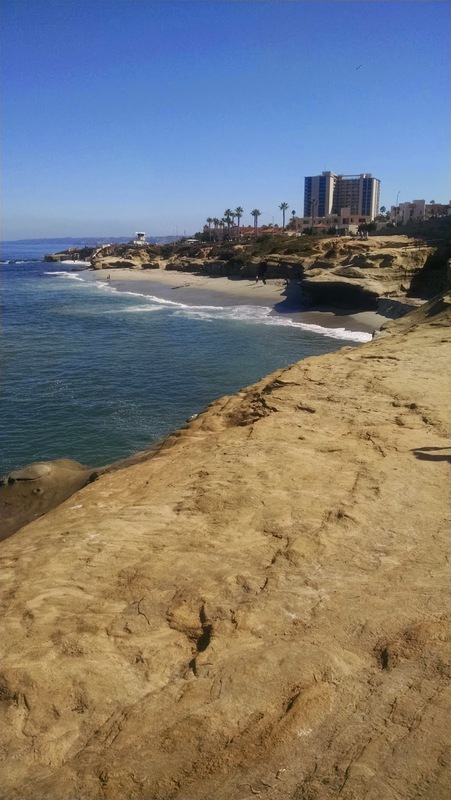 It was different than anything we've ever done before, but we liked the idea of not staying in some stuffy hotel, and it was at least half the price of staying in a nice hotel in La Jolla. We just weren't sure what exactly to expect. 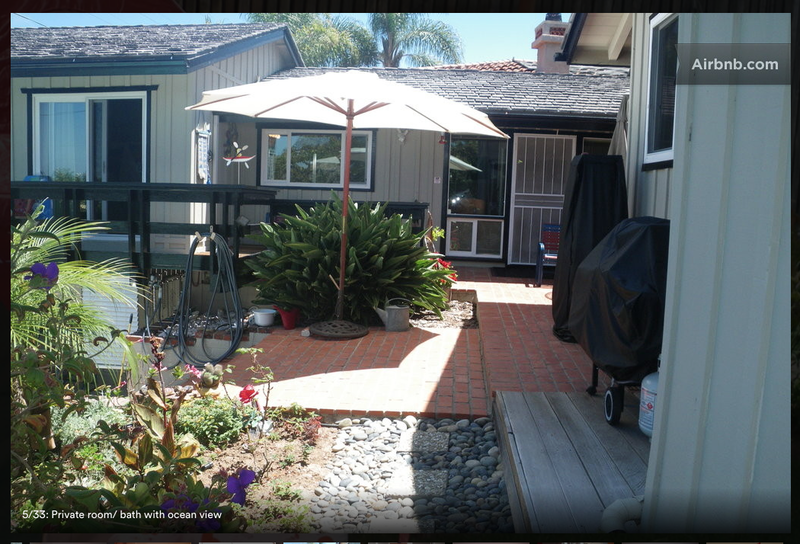 The house was in a gorgeous quiet neighborhood in La Jolla, just two miles from La Jolla cove. Immediately upon being greeted by our hosts, I knew it was going to be great. 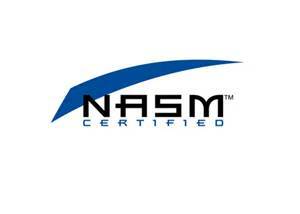 They were friendly, engaging, and really helpful. 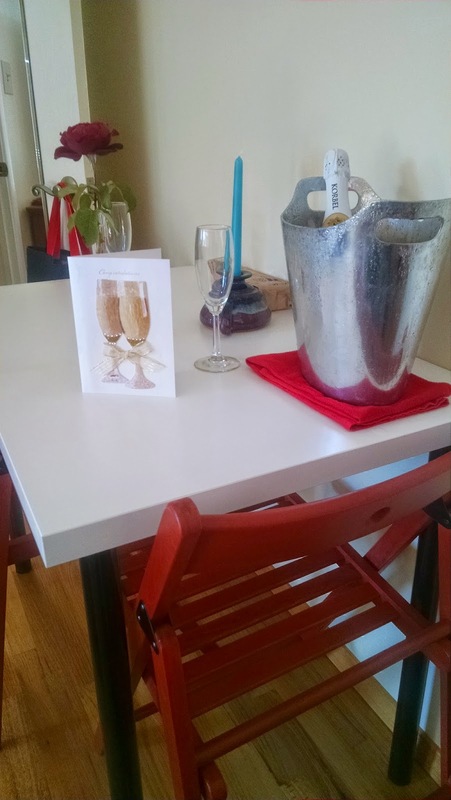 They knew of our anniversary and bought us a card and a bottle of champagne as a gift. It felt like we were staying with relatives. They were the perfect balance of being available for questions or short chats, while still allowing us the privacy to enjoy our vacation. It was perfect. I will definitely use airbnb again when looking for rooms in other cities. Our anniversary gift from our airbnb hosts. I am so grateful! We immediately hit all our favorite San Diego spots. 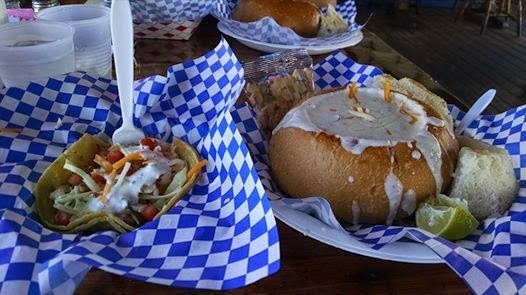 Hubby's favorite place to eat in all of San Diego is a little dive cafe on the Ocean Beach pier. This was our first stop after landing, for clam chowder and lobster tacos. Our first night in San Diego we went to Mission Beach to watch the sun set. We managed to get in three runs in four days and I have to say that our time running together (together: aka hubby 1/4 mile ahead at all times) along the ocean were some of the best times of our vacation. You know you're a runner when running on vacation is the best part! We've been suffering through stifling Texas heat runs, so even though everyone in California was complaining of a heat wave (laughable!) our runs were the coolest that I can remember in a long time, plus you just can't beat an ocean view while running! 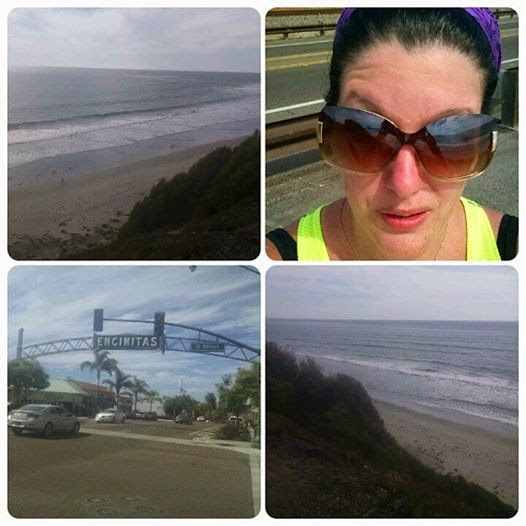 One day we ran along the 101 in Encinitas and it was just amazing. I didn't have my phone during the run, but I made hubby take me back up there with the car afterwards so I could get some shots of the incredible view. The selfie was accidental. I couldn't see the screen at all because of the sun glare and I didn't realize the screen got turned around. I thought it was funny because I didn't know until I was looking through the pictures later. I think the look on my face says it all. "Hey, who's Grandma did you beat up to steal those glasses?" 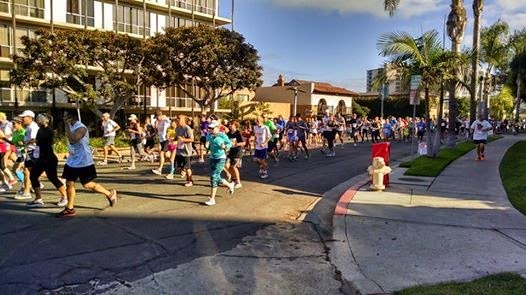 On Sunday most of the roads downtown La Jolla were closed for a 7k. I wish I would have known, I would have loved to run a race while in town. This is something I should definitely look into for next time. I have traveled to run races, I just never thought to look for races in the places that I was already traveling. This was our view on our walk to eat pancakes. Way to guilt trip me, La Jolla! I even bought a new pair of running shoes because I love visiting local running shops when I travel. I decided to try something different this time. The sales guy really sold me on these: Hoka One One Kailua Tarmac. I bought them my last day in town, so I haven't had a chance to run in them yet. I'll let you know how they go. They are supposed to be really comfortable. 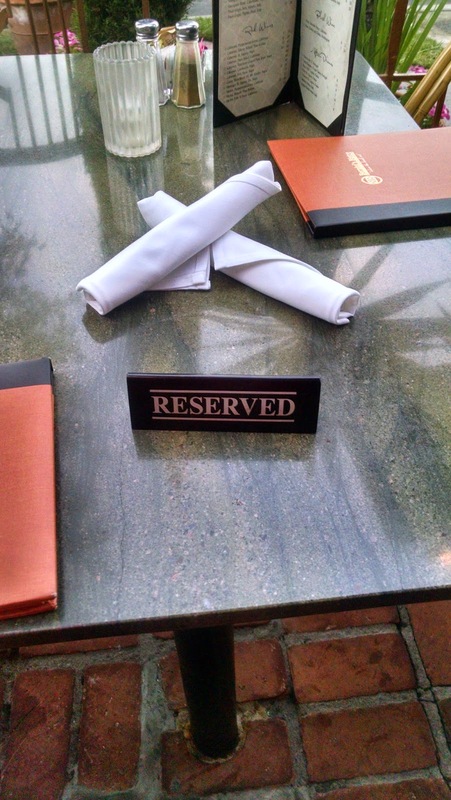 We finished out our trip with a lovely outdoor anniversary dinner at Bernini's Bistro, La Jolla. It was the perfect end to our perfect anniversary vacation. 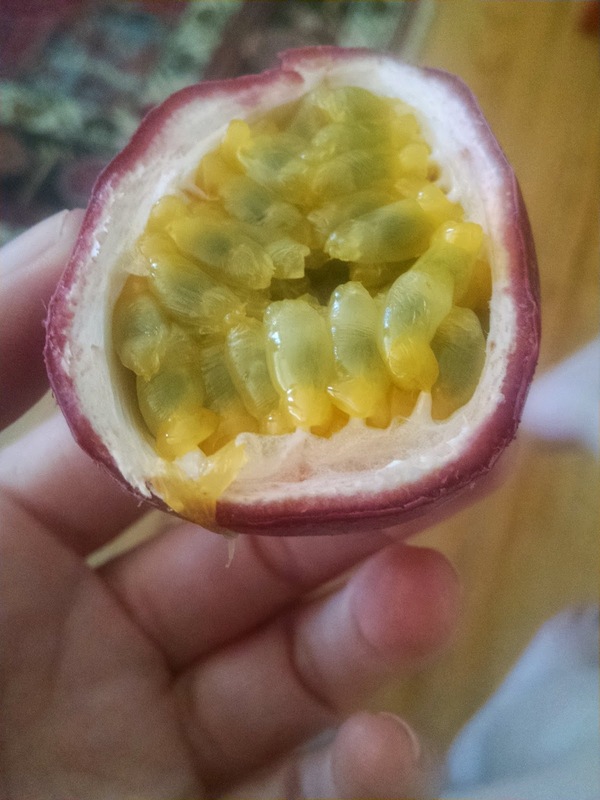 Our airbnb hosts left us with a parting gift of passion fruit that they grew on their backyard vine. Delicious! We had the most wonderful vacation. Ease of travel, carefree days, delicious meals, running along the beach...it all was all fun and memorable. But there is no happiness like the happiness of being home. Besides, we really missed Ollie! What about you? Have you ever booked a room with airbnb? 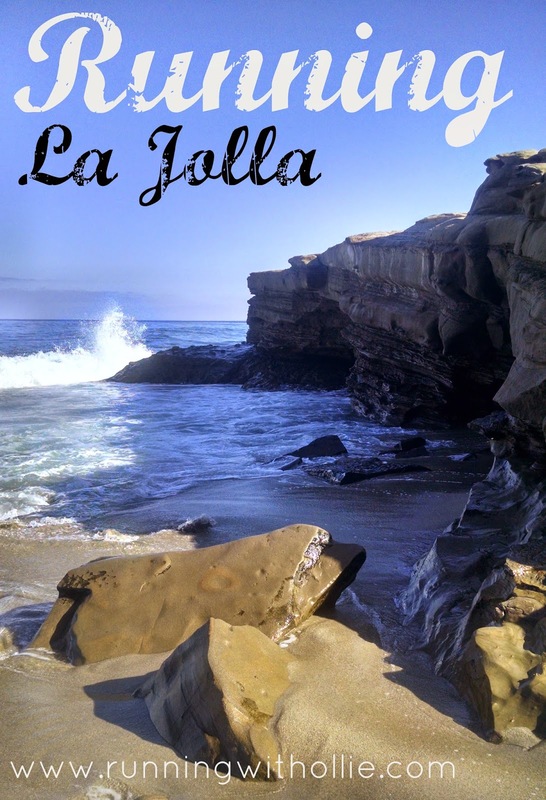 Have you ever been to La Jolla? 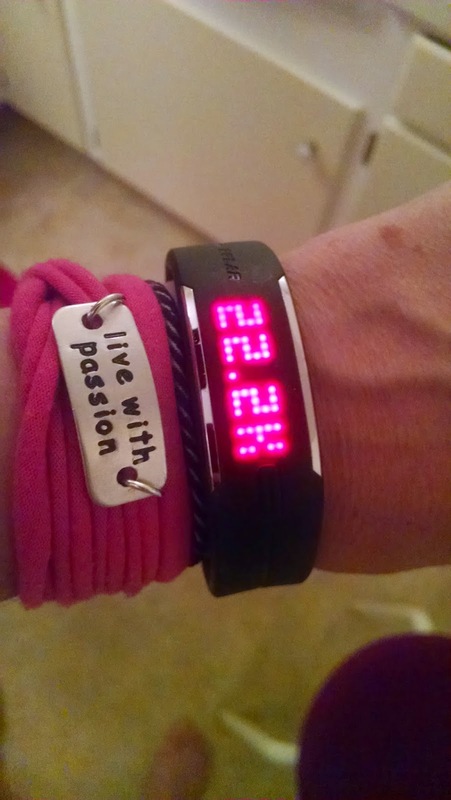 Do you run on vacation? Do you ever travel for your anniversary? 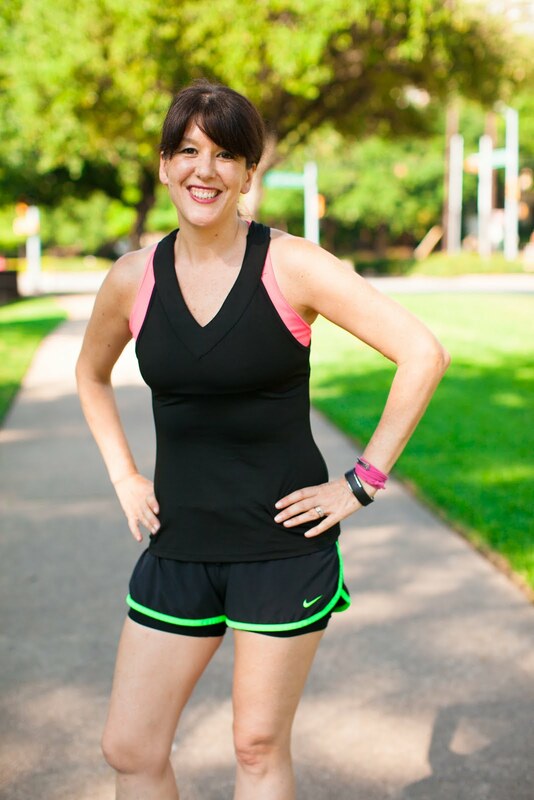 Have you ever worn Hoka One One running shoes? 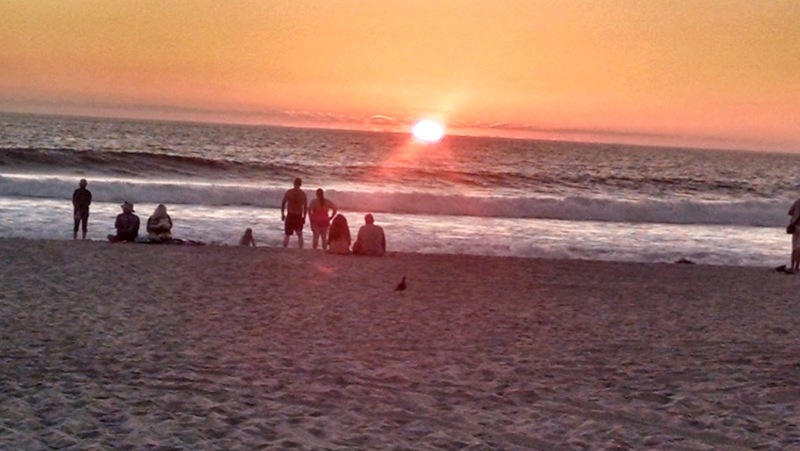 Do you have any recommendations for future trips to La Jolla? 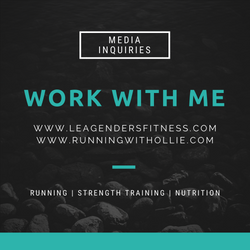 Let me know in the comments! I know that little dive cafe... love the view. We saw a huge pod of dolphins swim past one night. Glad you had such a great time. 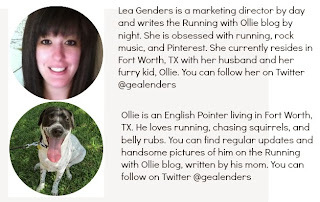 I read about a airbnb client who wouldn't leave the house he rented. Weird. I have thought of using them... perhaps will look at it more seriously now I have your recommendation! Lea! You were here and you loved it! Love my little big town! Yes, I LOVE Hokas! You can check out my review here. 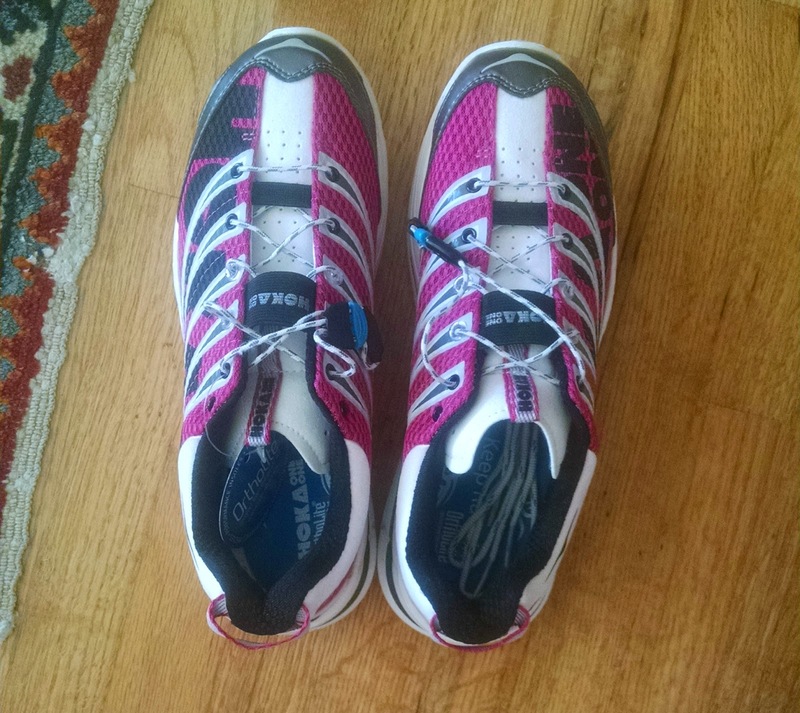 http://www.runningwithsdmom.com/2014/08/friday-fascinations-hoka-one-one.html#.VAI240vGnHg Is this your first pair? I will have to check out Airbnb! Yes, they are my first pair! Ha ha I read your review, they do look like moon boots! Lol. Nice review! Thank you!!! !